Spices F&B Catering is always crowded.it is located next to Jamia Hamdard, Batra Hospital and NDIM College. Students, staff and a lot of people come here so you have to go at the right time to get a proper place. Their service is alright. The rates are affordable and you get good quality food also they only serve vegetarian food. I tasted a lot of dishes from here- White penne pasta - it's the best. Love the taste! Veg fried rice - super yummy. 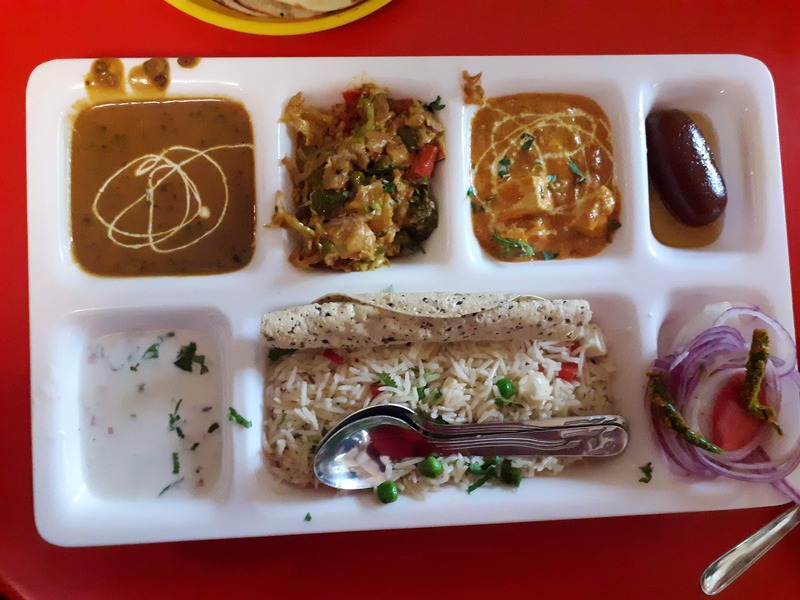 Veg thali - Absolutely amazing. Chilly potato - Not that great! Chole bhature - one person can't finish it. Chole quantity is less but overall it's amazing. Masala dosa - yummy and crispy. Paneer dosa- fairly good! Well its just the space otherwise nothing needs to be changed.